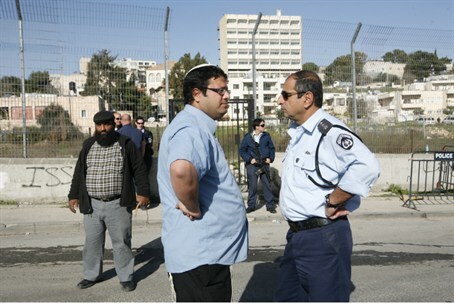 The Israel Police will not investigate accusations that officers colluded in vote forgery during the elections. The Justice Ministry bureau for investigations into the Israel Police has decided not to open an investigation into reports that police officers colluded in voter forgery during the last elections. The allegations were made by Sagi Keizler, head of the Samaria Residents’ Council. Police did not question Keizler before deciding not to investigate. The report of police involvement in fraud was just one of several disturbing allegations made by Keizler and other volunteers from Jewish communities in Samaria who spent elections day observing the voting process in Arab towns. There were multiple reports of voting irregularities and false inflation of voter turnout, and some volunteers reported that attempts had been made to bribe or threaten them into keeping quiet. In a letter to the police two weeks ago, Keizler wrote, “At 9 p.m., one hour before voting stations closed, the deputy head of the polling stations came to me and asked that we ‘split the cake’ at the end of the day. “A few minutes before 10 p.m., the officer disappeared,” he said. “This is outrageous behavior on the officers’ behalf, and I suspect that they were cooperating with the polling station members’ attempts to falsify the results of the elections,” he accused. Keizler got a letter back stating that “there was no groundwork indicating a crime was committed” and thus there would be no investigation. However, the response stated that the matter would be passed on to police for internal investigation. “Closing the investigation before it began, and before taking testimony from the complainant, gives rise to many questions,” Keizler said after receiving the letter.